You’re at work, digging into your daily routine and the phone rings. It’s your mom’s neighbor calling to tell you your mom took a fall and is on the way to the hospital. This is a common event and one that everyone caring for an elderly parent or loved one should be prepared for. In fact, according to the National Council on Aging, “Every 11 seconds, an older adult is treated in the emergency room for a fall; every 19 minutes, an older adult dies from a fall.” And falls aren’t the only crisis that can occur. Other health emergencies, as well as natural and man-made disasters, can happen in an instant, so setting up a caregiver crisis plan enables you to be ready at a moment’s notice. Full name, address and phone number(s). Gender, age, and date of birth. All medical conditions and disabilities (both physical and mental). All medications and what they take them for (AARP’s template is a great help with this). All vitamins and supplements they take. Any medical devices they use including implanted devices. Names, addresses and phone numbers of all physicians. Driver’s license number, state identification card number and/or passport number and social security number. All insurance information and Medicaid number (don’t forget homeowner’s, life, and auto information in addition to health insurance). 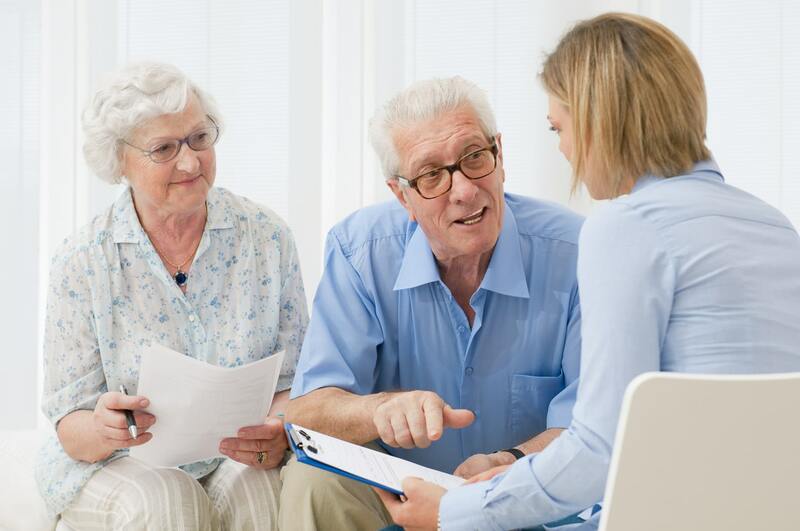 Also be sure to have copies of your parent’s power of attorney or healthcare proxy giving you or someone else the authority to make medical decisions, and any advance directives that are in place. If your parent is treated in the emergency room or admitted to the hospital, you will want to be prepared to have a familiar and trusted person by their side. For short-term stays, it may be you, a sibling or a close friend. For longer stays, you will want to organize a group of people to be on call to relieve you periodically so you can rest and take care of personal business. 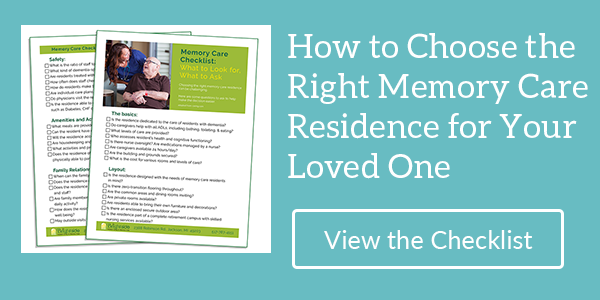 Familiar faces are especially helpful when your parent suffers from memory loss and confusion. Their presence can really help reduce fear and let your parent know they are safe. Make a list of all those who volunteer, their most current contact information and their hours of availability. You might also set up a phone call chain so that you only have to call the first person to set the chain in action. In this way, everyone will know they may be needed and you can concentrate on your parent. Alternatively, ask one person to make calls to all the others so that you don’t have to. In the event that you have to be away overnight, be sure to have your own emergency plan in place to cover childcare, meal preparation, transportation to schools, pet care, and so on. In addition, you should have a pre-packed bag of all the things your parent will need to make them comfortable and help to minimize confusion. Their preferred toothpaste, a new toothbrush, deodorant, shampoo, soap, and lotion. Women may want a small makeup assortment as well. Personal products like incontinence pads and denture cleaner, as well as extra eyeglasses and hearing aid if needed. Pajamas, a robe, and slippers with rubber grips. (Many hospitals provide these as well). A sweater or bed jacket in case their room is too cool. Some form of entertainment such as puzzle books, an iPad, tablet or Kindle, books they might enjoy, and headphones so they can listen to audio books or music. When a man-made or natural disaster strikes, you may have hours of warning or only minutes or even seconds. If your parent is able to live alone, be sure to map out with them what to do in case of each possible emergency. In Michigan, for example, blizzards, ice storms, tornadoes, and floods are the most common disasters so narrow your plan to those that are likely. How to communicate when the power is out. Batteries and, if possible, backup power for medical equipment like oxygen and for recharging batteries for wheelchairs, phones, computers, radios, etc. Contact information for one or more of your parent’s neighbors who can check on them in the event you are unable to. An emergency evacuation plan in step with local authorities. A plan to ensure your parent’s pets are cared for in the event you have to evacuate. The AARP also recommends having a “Go Bag” packed and ready to go. The Federal Emergency Planning Administration’s brochure, “Prepare For Emergencies Now: Information For Older Americans,” is a common-sense guide to preparing for and surviving disasters. Another great resource is “Disaster Preparedness: For Seniors By Seniors” from the American Red Cross. To stay on top of bad weather, consider purchasing National Oceanic and Atmospheric Administration weather radios for you and your parent. Everything you can do before a crisis is one less thing to worry about during one. Set your crisis plan in motion now and you’ll be ready when the time comes.